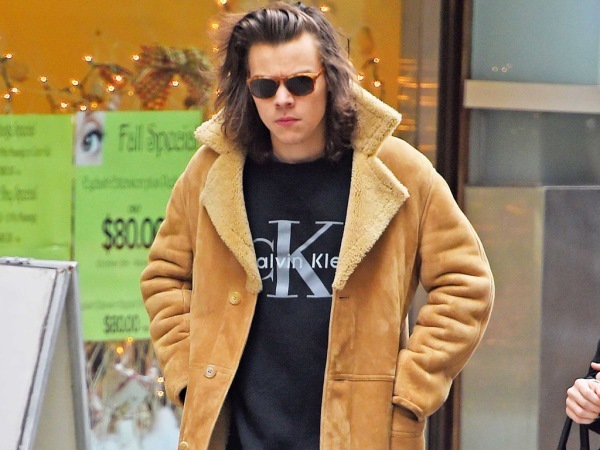 Harry Styles is apparently a big fan of sheep placenta facials. The handsome One Direction star is a worldwide pinup thanks to his rocky style, curly hair and baby-faced good looks. And it seems he gets a helping hand when it comes to his youthful complexion from LA dermatologist Louise Deschamps - and a sheep's placenta. "Harry comes to see me," Louise told British magazine Grazia. "It's not unusual for young men to come to me." Louise treats the popstar at Dr Harold Lancer's clinic in Beverly Hills and reveals he particularly likes the £325 facial that uses the stem cells from sheep placenta. Harry is currently completing the On The Road Again Tour with bandmates Louis Tomlinson, Zayn Malik, Liam Payne and Niall Horan. With such a hectic schedule, Louise says it's no wonder he pops in for treatments. "He gets clogged up. Putting on make-up all the time and travelling plays havoc with his skin. He’s so adorable. He takes care of himself and loves the facials. He likes to look good and have good skin," she smiled. The 21-year-old isn't Louise's only A-list client. Harry's boss Simon Cowell, Kim Kardashian and Jennifer Lopez are apparently also regulars. Victoria Beckham has even previously tweeted about the clinic. "Victoria and David come quite often, when they are in town. Victoria is very beautiful and has great skin. We love to see her. She is such an ambassador for beauty and fashion," Louise revealed.